Faster and louder. Australia's Black Majesty are back with their seventh album 'Children Of the Abyss' on Pride & Joy Music. Vocalist John 'Gio' Cavaliere's classy and moody vocals wail over the first single 'Dragons Unite' backed by the thunderous rhythm section of Evan Harris on bass and Ben Wignall on drums. Guitar solos galore, the twin attack of Hanny Mohamed and Stevie Janevski team up for lots of guitar wizardry, reminiscent of their heroes Judas Priest, Iron Maiden, Helloween & Queensryche. 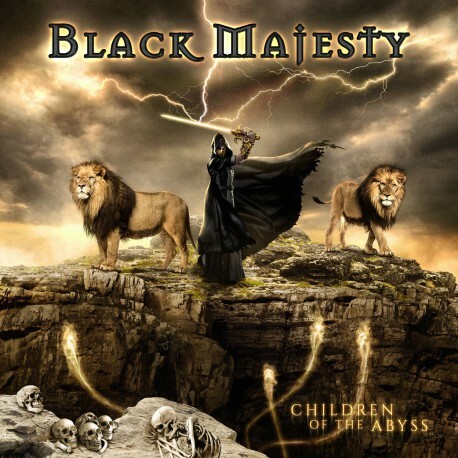 Produced by Roland Grapow (Masterplan), the new album “Children of the Abyss” has a world class production with songs like 'Hideaway', 'Something's Going On' and the title track that are sure to become fan favorites in the live setting. With countless live shows under their belt, Black Majesty have toured with some of the most well known heavy metal bands on the planet whilst having played at the world's best Heavy Metal festivals such as Wacken Open Air, Metal Universe, Screamfest & Headbangers Open Air. Look no further than the mega album art by Thomas Ewerhard, “Children Of the Abyss” is one of the finest power metal albums of 2018.